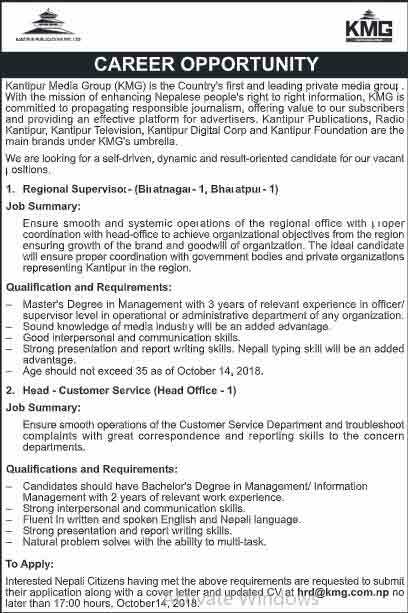 Kantipur Media Group announces vacancy for the post ofRegional Supervisor and Customer Service Head. Qualified and interested candidates can apply for the post in the given address. Click the following link to Read kantipur Epaper.